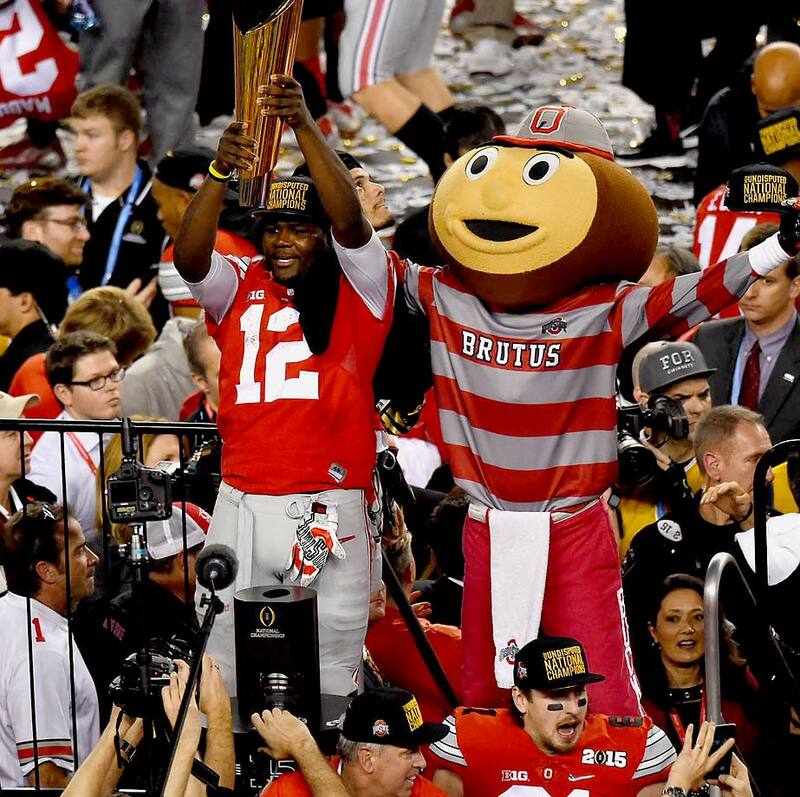 Ohio State may be starting a dynasty after beating Oregon 42-20 to win the first national championship of the College Football Playoff era. ARLINGTON, Texas -- Cardale Jones sat at his locker, in both a most familiar and unusual place. 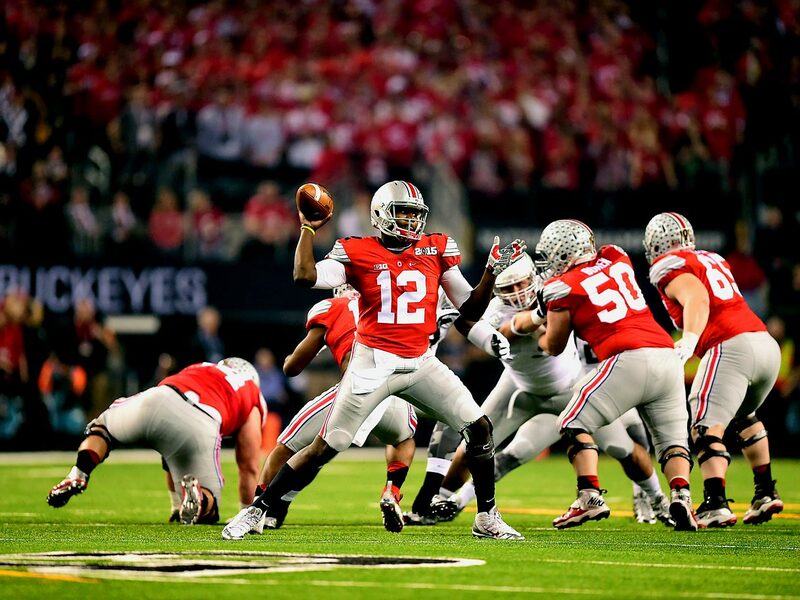 He had just won the national championship, but he still has not won Ohio State’s starting quarterback job. He has started three games yet could leave for the NFL. 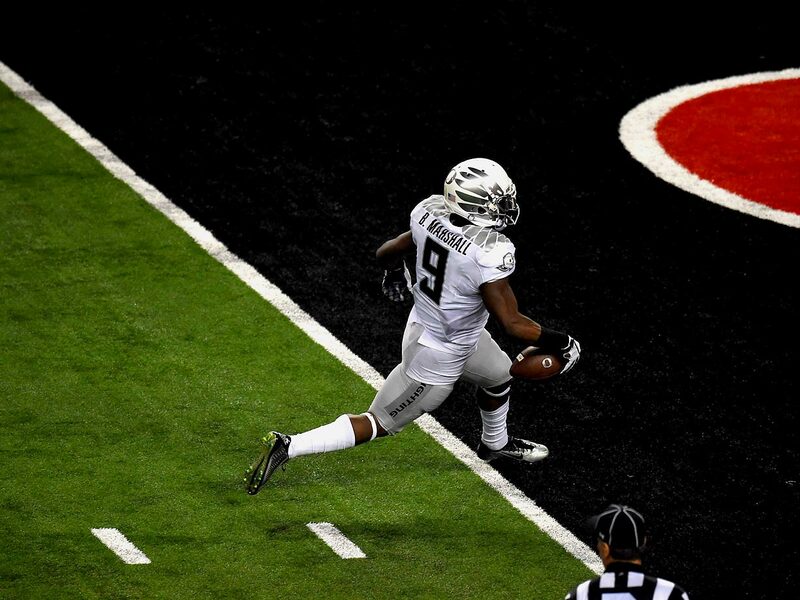 The right shoulder of his jersey was torn, and we can only assume it took three Oregon players to tear it. Yet even after this superhuman performance, he seems like a young kid. 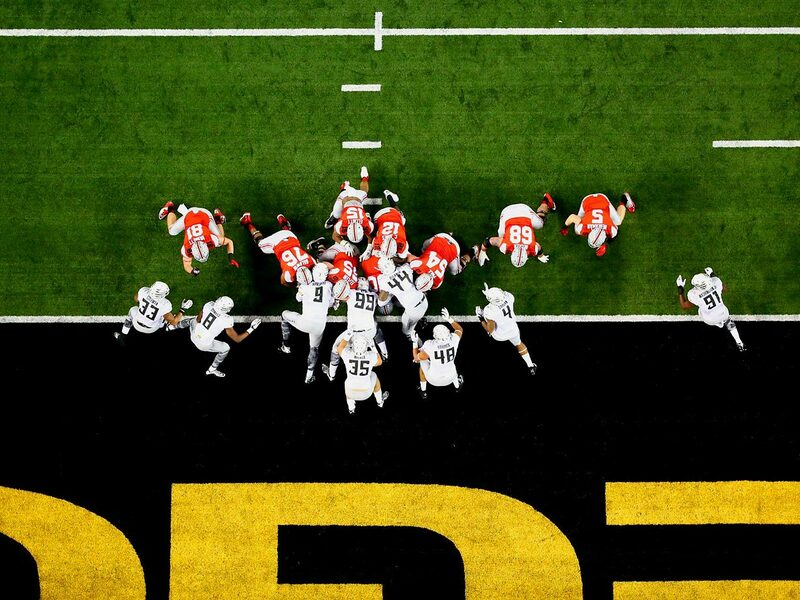 His teammates danced and hugged and celebrated, and yet several said, as delicately as they could: This? This impressed you? Watch what we do next year. Was this the start of a dynasty? Put it this way: It was the start of something fascinating. Ohio State is poised to make a run at another national title next year, with the strangest quarterback situation of any contender in recent memory. Jones, J.T. Barrett or Braxton Miller could lead the team to the national title … or one or two could leave, either for the pros or for another school. 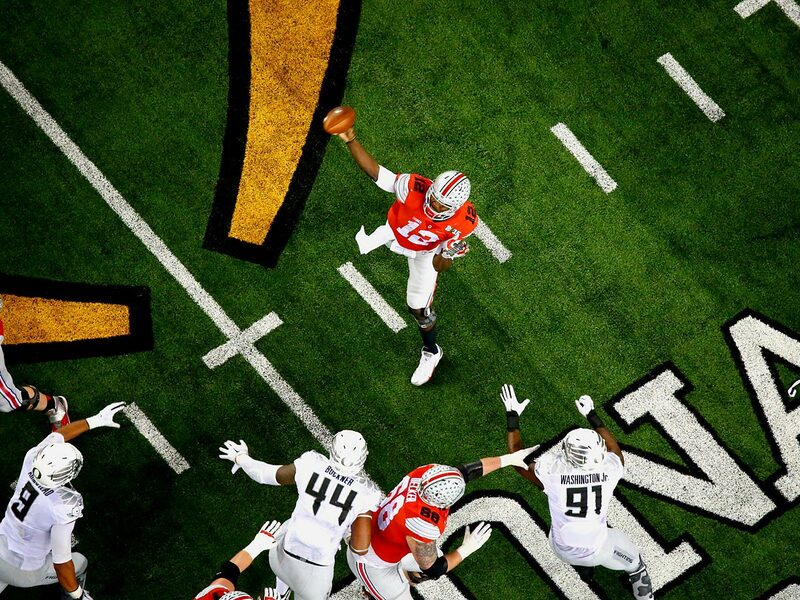 The beauty of this, for Urban Meyer, is that he will win big regardless. Meyer is building a program that may surpass the one he built at Florida, and it was there for the country to witness in the national championship game Monday night. 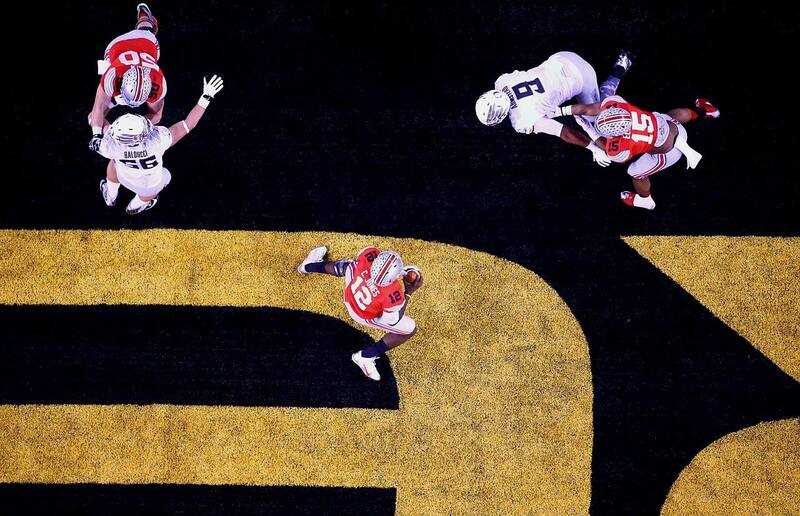 Ohio State was supposed to be a year away from this, but somewhere in the last six weeks the impossible became inevitable. 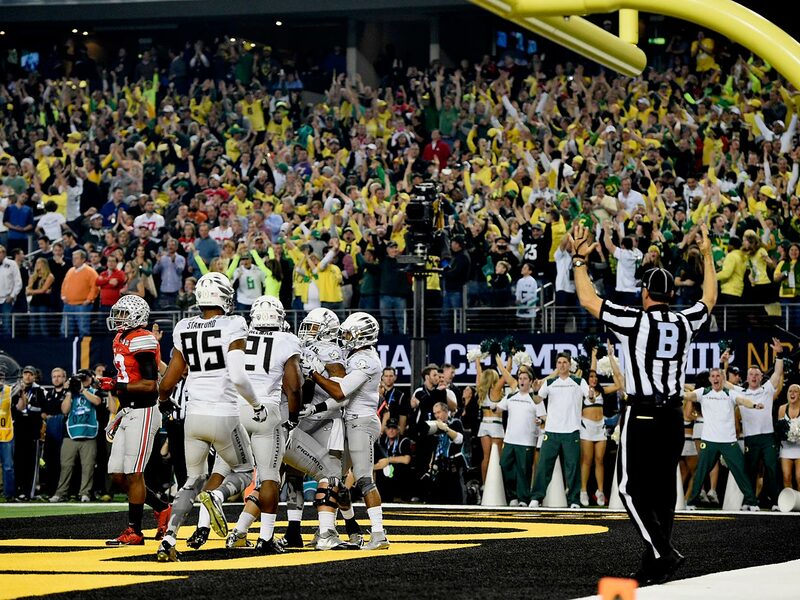 Ohio State did not just beat Oregon 42-20. It physically dominated the Ducks. Nike founder Phil Knight has spent hundreds of millions on Oregon's facilities, and you wonder if he forgot to buy a bench press. 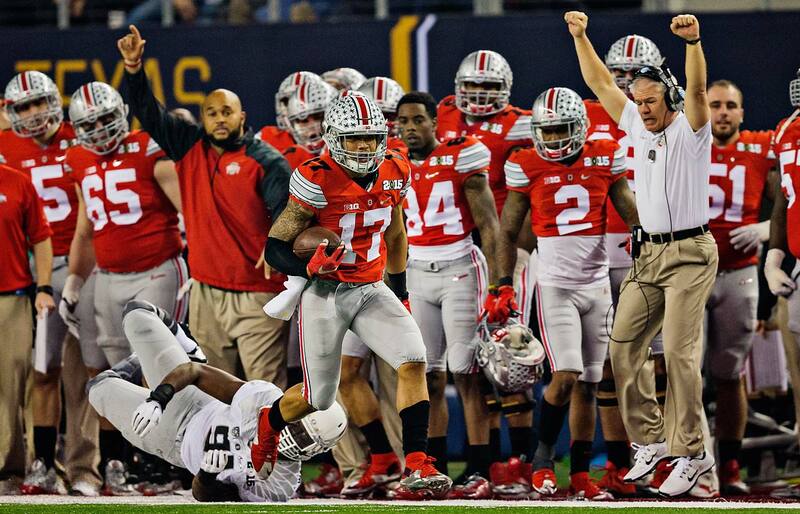 The truth about this game was that Ohio State players felt it was over before it started. They watched film. 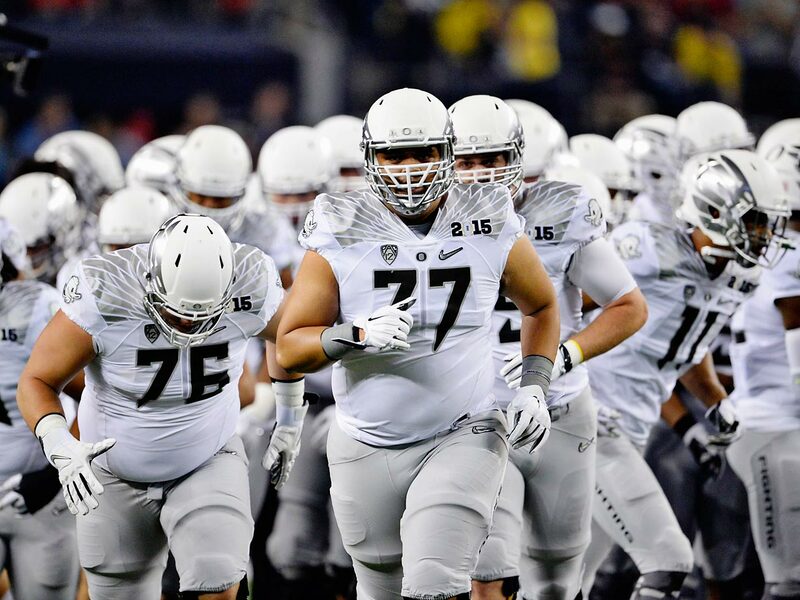 They knew running back Ezekiel Elliott would barrel through the Oregon defense. 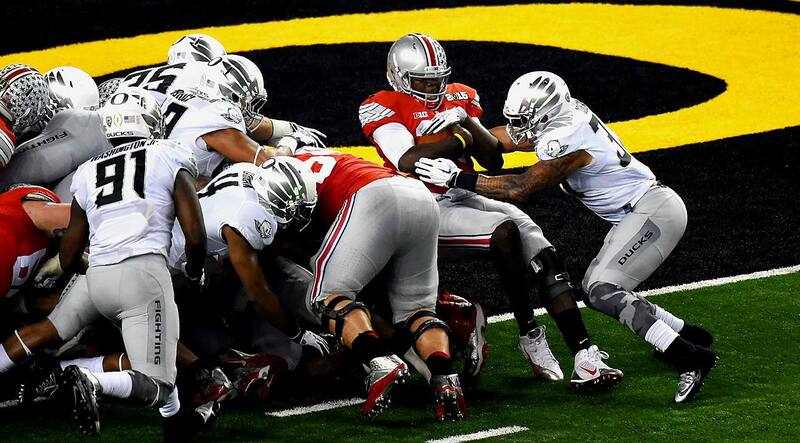 Elliott looked like the NFL’s next great power back as he rushed for 246 yards. Incredibly, he carried the ball 36 times and was not tackled for a loss once. 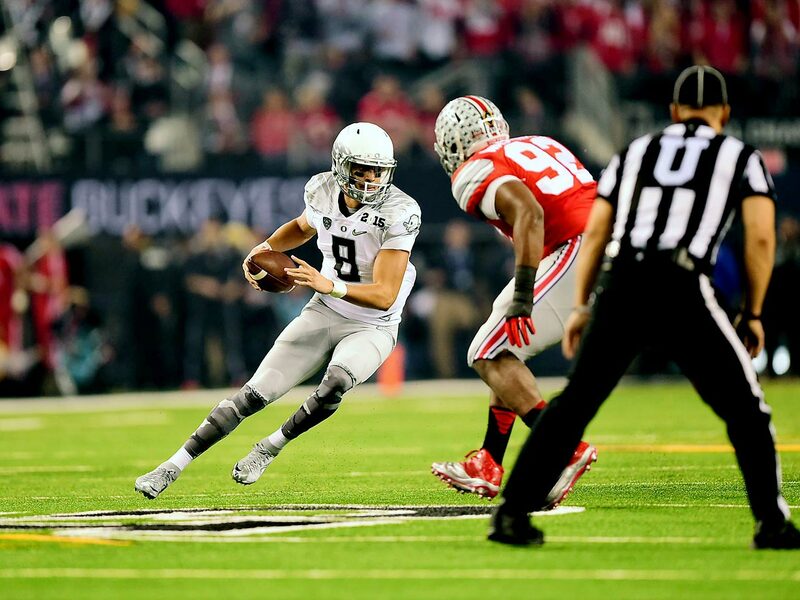 But maybe more incredible is this: On Dec. 1, the Big Ten released its all-conference teams. Elliott was not on the first team. He was also not on the second team. He was honorable mention, and in a league loaded with great backs, that is likely where he belonged. Yet there he was pummeling Oregon for his third straight 200-yard game. That, right there, is the story of the Ohio State season. Has a team ever come on so strong at the end of a season? In September the Buckeyes lost to Virginia Tech. 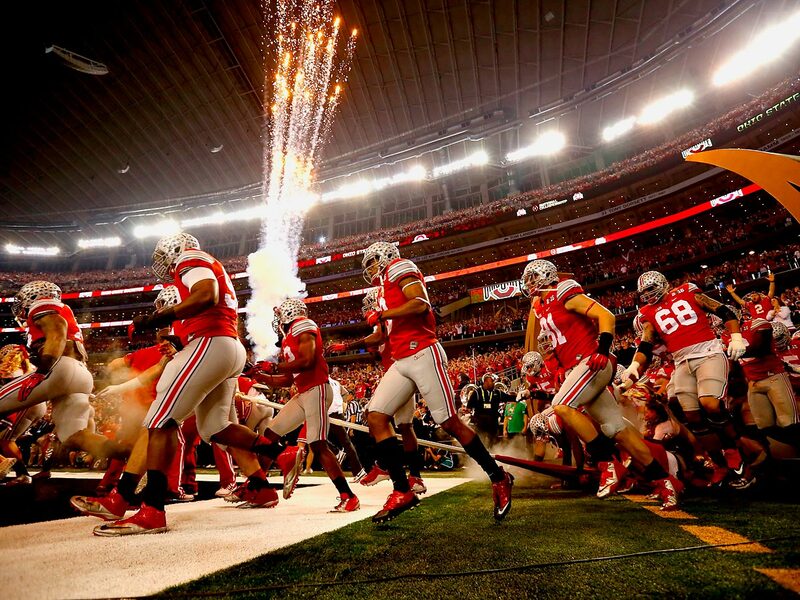 Meyer told them afterward that they could still achieve all their goals, but that’s just what coaches say. 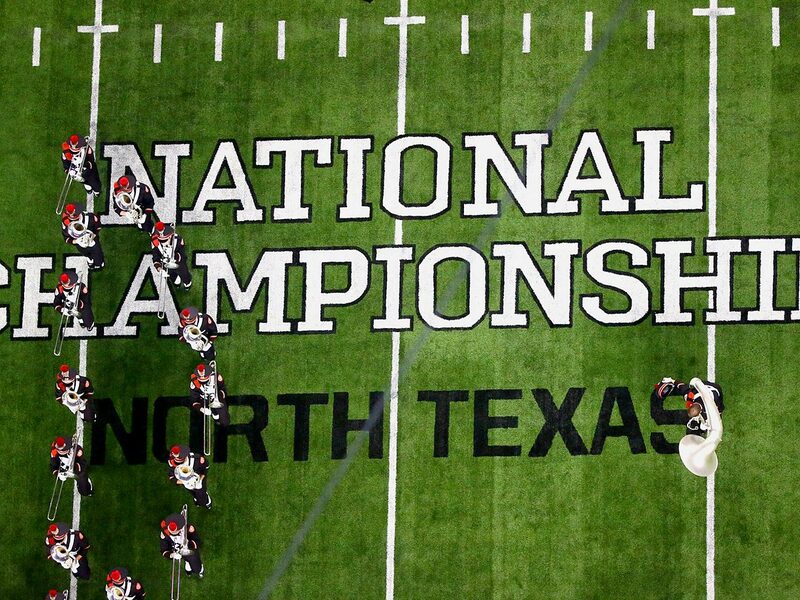 Ohio State looked a long way from a national title. But then virtually every unit on the team got better, and by December, it didn’t even matter who played quarterback. 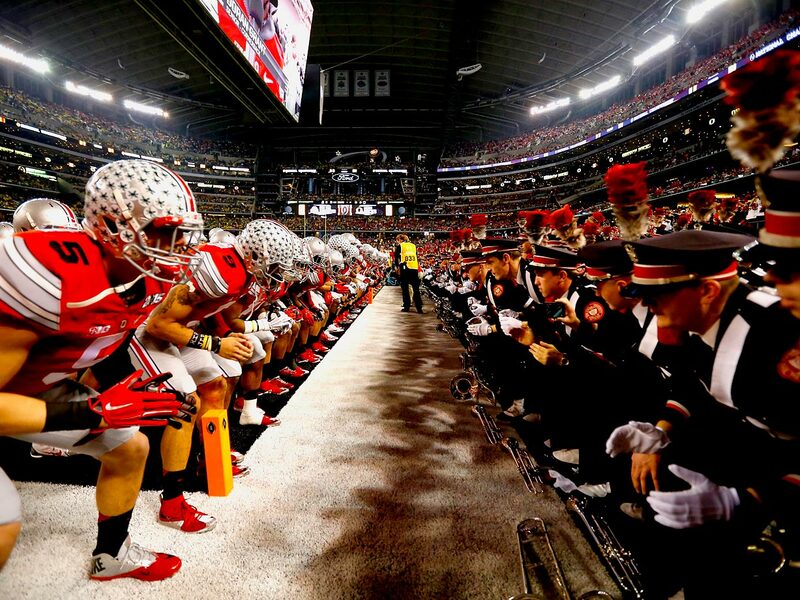 Meyer likes to tell his team “the plan is infallible.” Who can argue now? 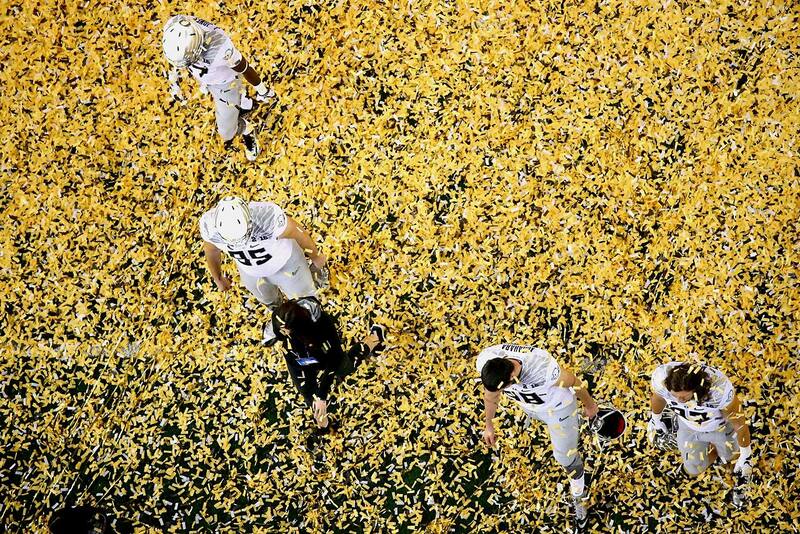 After missing golden chance to win title, Oregon left to ponder what if? 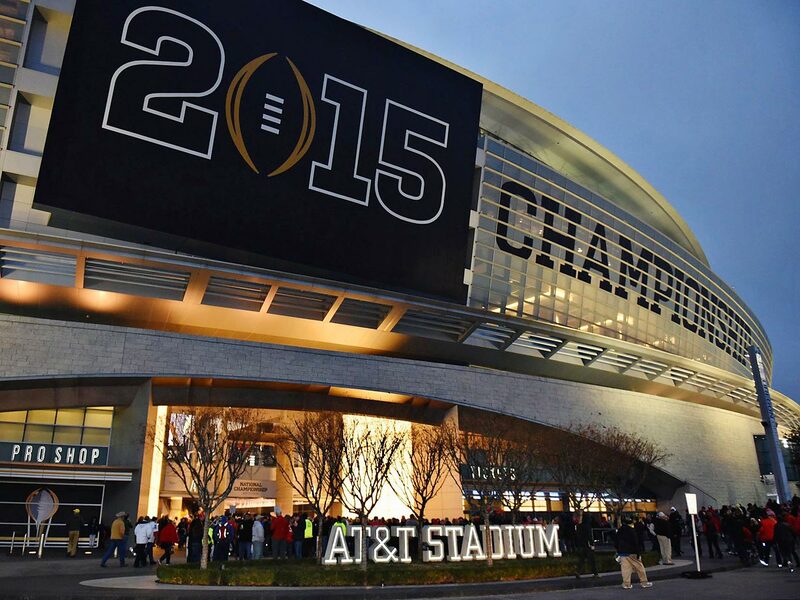 They were not the best all season, but the new College Football Playoff has a dash of March Madness to it: As long as you get in, you have a chance. 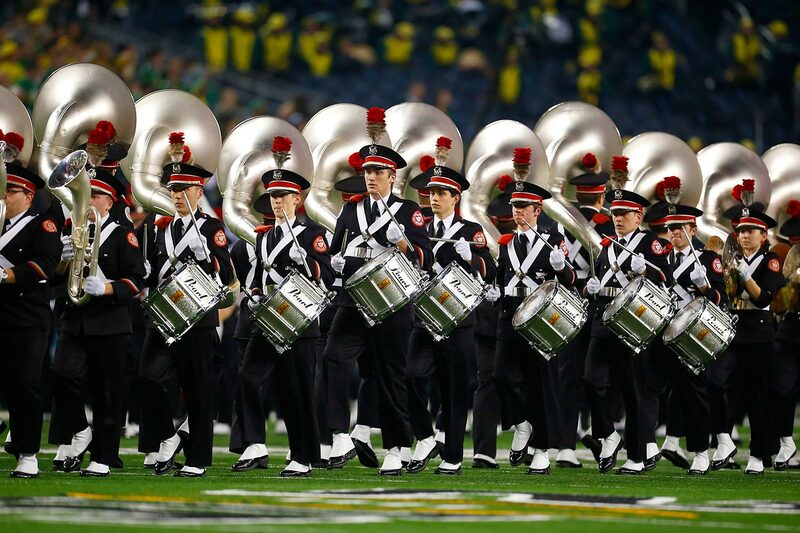 In any of the last 30 years, Ohio State probably would have gone to the Rose Bowl, beaten Oregon and watched Alabama play Florida State in the Sugar Bowl for the national title. But in this format, the No. 4 team at the end of the regular season can win it all. It was a signature victory for Meyer, who wrestled the unofficial title of Best Coach in College Football away from Nick Saban, at least for the moment. It was also enormous for the Big Ten, though Delany was reluctant to admit it. That was as close as Delany would come to crowing about the victory, and let’s face it: He has every reason to crow. For years, he heard his conference was third-rate, even when it had some good seasons. Nobody wanted to hear the Big Ten frequently faced the stiffest bowl competition of any conference, because it is a TV juggernaut, and because Delany is so good at cajoling bowl reps to take his teams. Well, what can people say now? As Delany said: “We beat the No. 1 team [Alabama], the No. 2 team [Oregon] and the No. 5 team [Baylor, which lost in this same building to Michigan State].” And the Big Ten looks poised to compete with anybody for the next five years. 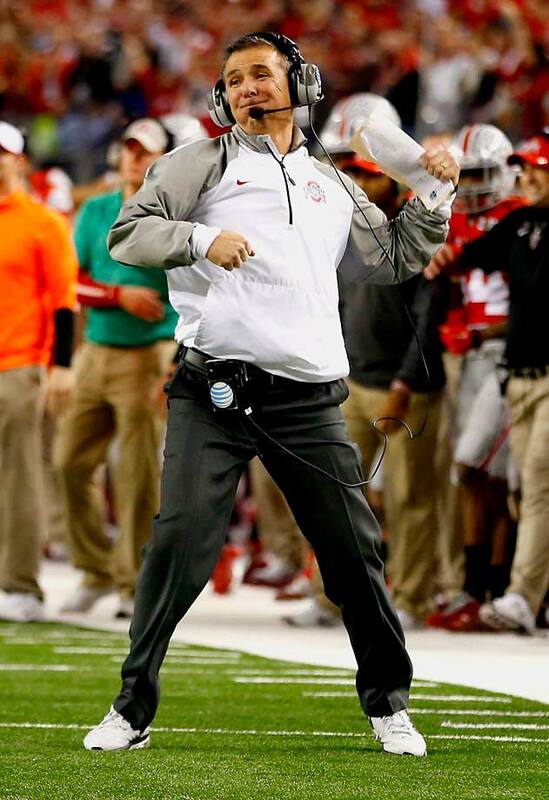 Meyer has Ohio State rolling. Mark Dantonio’s Michigan State is now a top-10 fixture. Penn State has James Franklin recruiting like crazy. Michigan just hired Jim Harbaugh. Wisconsin hired probably the right coach, Paul Chryst. He said Ohio State will be back. But he wouldn’t say who the quarterback would be. Two-time Big Ten player of the year Miller was supposed to be the starter but injured his shoulder in preseason camp. 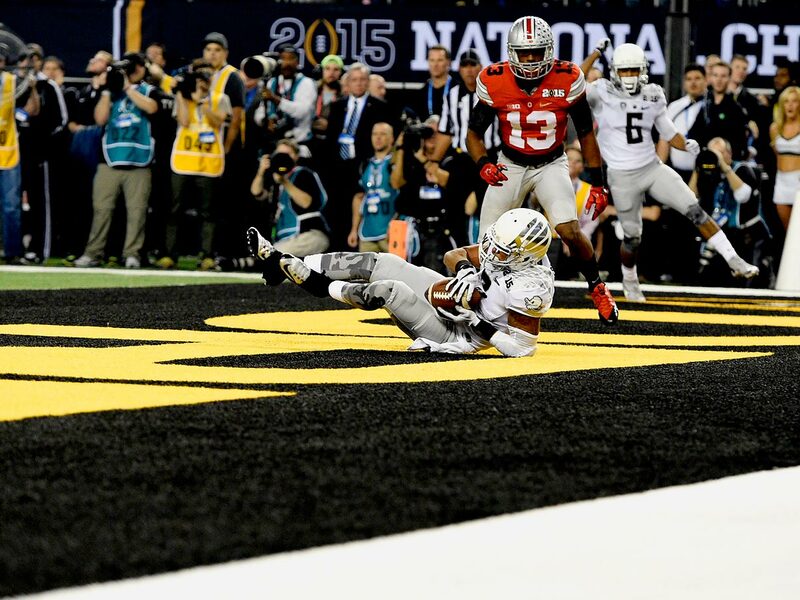 Barrett was the 2014 Big Ten player of the year but wrecked his ankle against Michigan on Nov. 29. 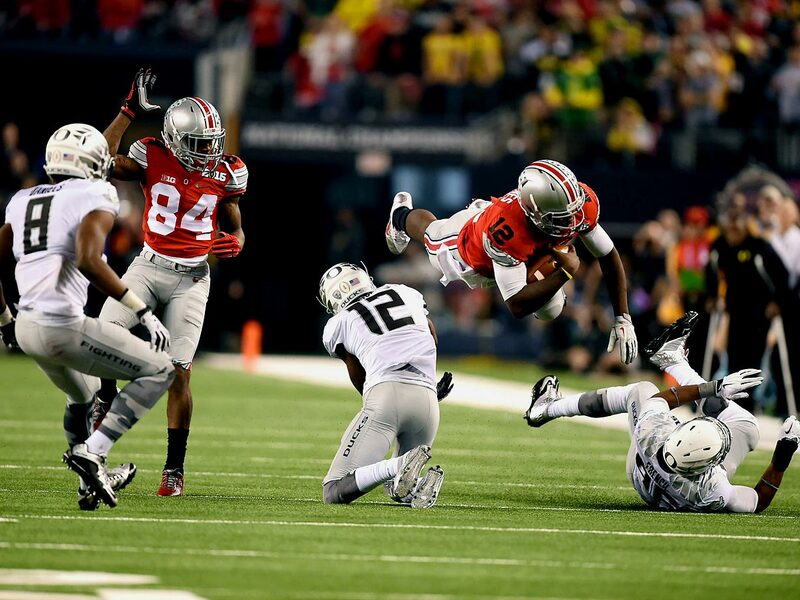 Jones was so good in the past three games that it’s easy to wonder why Meyer left him on the bench all season. 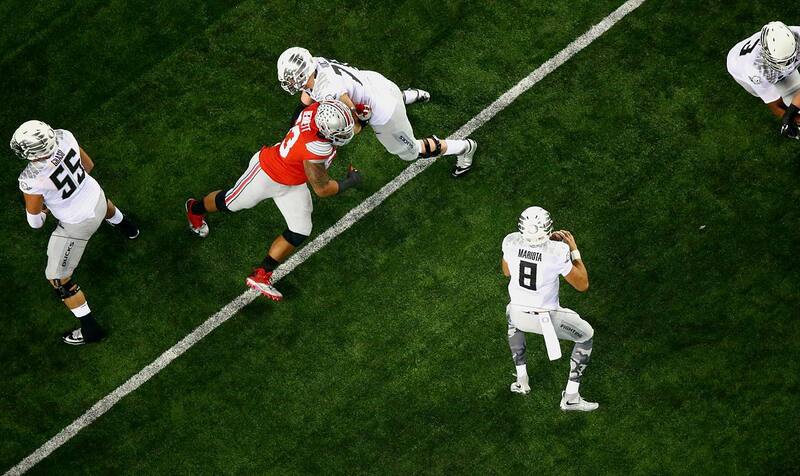 What was Meyer thinking? 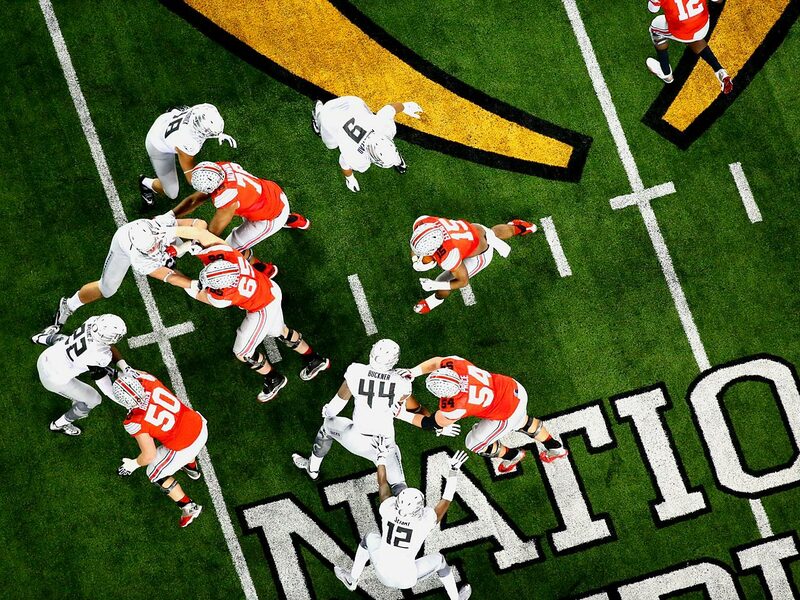 Well, one source indicates that Meyer watches all of his team’s practices. A second source tells me he really likes to win. And a third source mentioned, ever so gently, that perhaps Urban Meyer knows more about football than you do. Miller is a terrific player who had the most experience; no coach in the country would have benched him to start the season. But Barrett is the best quarterback on the team, even though Miller is a much better athlete and Jones is bigger and has a stronger arm. Barrett has the smarts, the nerve and the touch to lead Ohio State back to the “rare air” that Meyer talks about so often. Barrett celebrated with his teammates Monday night, but the biggest day of his week may be Thursday. That’s when the cast comes off and he won’t need a scooter to move around. “The scooter was cool for a minute, but now it’s getting on my nerves,” he said. He sounded like a man who is anxious to get back to work and to lead this team to another national title. Barrett wants to be there to finish the job. Meanwhile, even as Elliott said he couldn’t believe what Ohio State had done, he said his friends at other schools started winter workouts Monday. “We’re a day behind,” he said. They’ll catch up real fast. Get used to this sight, America. Ohio State is just getting started.